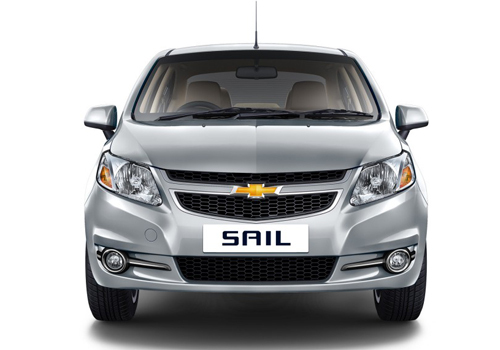 Chevrolet India the Indian arm of US car maker has launched the refreshed versions its sedan SAIL priced Rs. 5.19 lakh (ex-showroom price in New Delhi) and SAIL U-VA hatchback with price tag of Rs. 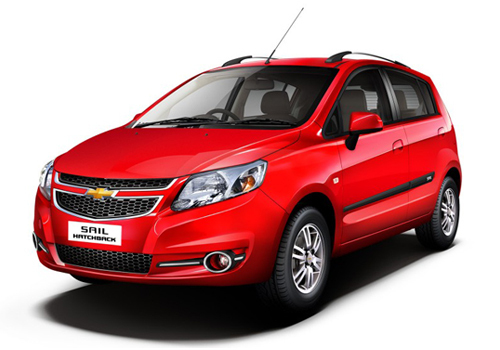 4.41 lakh (ex-showroom price in New Delhi) in Indian car market. Both the cars have undergone various cosmetic changes on the exterior and interior front giving them contemporary look. The most notable change has been introduced in the interiors which includes dual colored, black and beige colored dashboard followed by chrome and silver inserts covering the music system. As far as engine configuration is concerned car maker has continued the existing engine configuration in both the cars which means diesel variants of the cars are empowered with same 1.3-litre SDE SMARTTECH turbocharged four-cylinder engine churning the power of 75bhp and 190Nm of torque whereas the petrol variant is empowered with 1.2 litre petrol engine boosting the power of 83 bhp and torque of 108 Nm. Moving back to features offered inside the cabin the door trims are also given the dual colored treatment of black and beige color, while the AC vents and door handles of the top trims have been give chrome garnish. With this the car maker has also replaced 1 DIN music system with 2 DIN music system supporting connectivity with Bluetooth. On the exteriors both the cars receive chrome finishing on fog lamps and surroundings of headlamps followed by the same chrome garnish on the boot of the SAIL sedan.